Tattoos often represent thoughts and feelings that we have not spoken about or acknowledged, even to ourselves. The body art captures and reveals unspoken aspects of human relationships, both past, and present. Here is one of that kind. How many of you have seen latest Bollywood movie “Pink” ? The film Pink revolves around a courtroom drama about gender equality. Something that the world needs to ponder upon. Here is a hidden message behind the tattoo of Tapsee Pannu in Pink movie. Have a look. The subject of tattoos, which have had a huge resurgence in the past decade and not just among criminals and lower socio-economic groups but the rich and trendy, and what they represent is high on the radar. Besides the cast, many non-verbal cues were also taken care of in this movie. One of the main aspects that came forward was Tapsee Pannu’s flying birds tattoo. Can you guess the hidden message behind her tattoo ? No need to google we are here to explain the meaning and significance of that tattoo used in PINK movie. When Tapsee stands in the courtroom to defend her act of hitting the man with a bottle, the creative team made sure that her tattoo was also visible on the scene. 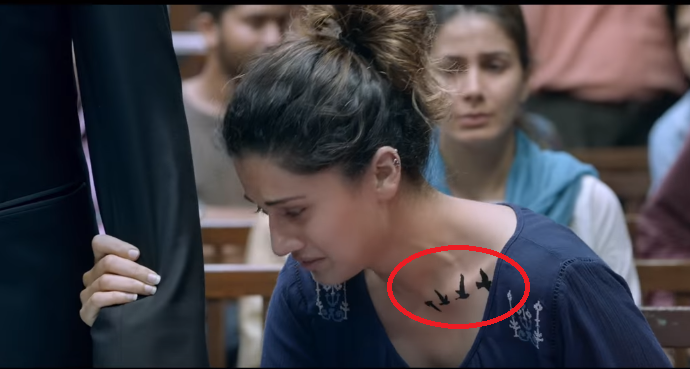 The flying birds’ tattoo that was christened on Tapsee’s neck held a profound meaning – ‘FREE HER’. This silent message that the women need to feel free is concentrated in this film. PINK is a social thriller that reflects on the dubious morals of today’s times. 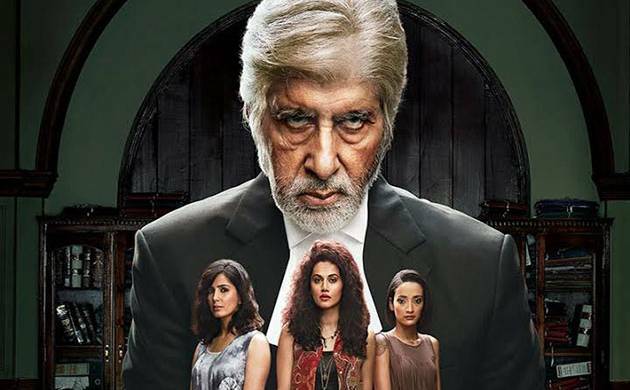 The recently released film starring Amitabh Bachchan and Taapsee Pannu in pivotal roles has won the hearts of most cinema lovers. Produced by Shoojit Sircar. The movie is doing well at the box office.